Eiko Ishioka is part of a rare breed of revolutionaries—a woman whose wide-ranging multimedia accomplishments in the late 1960s and 1970s jolted the Japanese cultural establishment. Recognized as Japan’s premiere art director and graphic designer, her more recent activities in production and costume design for film, theater, and opera have brought her continued acclaim. Through active participation, self-awareness, and stylishness, her multiple design tactics continue to lead to a scope of assignments for which she has received numerous accolades. Upon graduating from Tokyo University in the early 1960’s, Ishioka entered the advertising division of Shiseido, Japan’s oldest and largest cosmetics manufacturer. Here, she broke through a centuries-old stereotype. Instead of promoting the traditional view of Japanese women—quiet and submissive, someone who, according to Ishioka “listens rather than speaks”—she stood firmly behind the idea of using a radically different type of model. “I wanted someone vigorous, with a big body, big expression, big everything, big, big, big.” She was given creative leeway to exploit the tensions in Japanese culture between intellect and desire, between innocence and sensuality. The 1970s were a time of radical change in Japan and Ishioka used the mass media to awaken in her compatriots an awareness of the society’s transformation from a traditional culture into a modern global force. In so doing, she changed the landscape of advertising in Japan. At the end of that decade, Ishioka broadened to international projects and found herself observing Japan from the outside. The traditional culture of Japan, which had once been a burden for her, seemed entirely fresh. In order to challenge a Western viewer’s ordinary perceptions, Ishioka conceptualized seasonal media campaigns focusing on native women from remote parts of India and Morocco. Her sensitive photographic direction captured their strength, warmth, and beauty. She juxtaposed the images with startling slogans that often seemed to borrow their energy from the world of radical feminism. As a stage designer, Ishioka’s trademark is surrealism with a sensual edge. In 1988, Broadway was doubly blessed—her exotic, opulent designs had been transcribed into the production of M. Butterfly, which earned two Tony Award nominations for scenic design and costume design. That same production earned Ishioka an Outer Critics Circle Award and an American Theater Wing Design Award for Outstanding Theater Design. Ishioka’s style also lends itself to album covers, where she successfully escalates another commercial form to a higher art. For the late legendary jazz horn player, Miles Davis, she visually glorified Davis for his 1987 release Tutu and earned a Grammy Award for best Album Package Design. Her mode of communication lies more in the realm of the senses than in that of reason. She is not preoccupied with the formal elements of design, although it is obvious that she has total control of them. 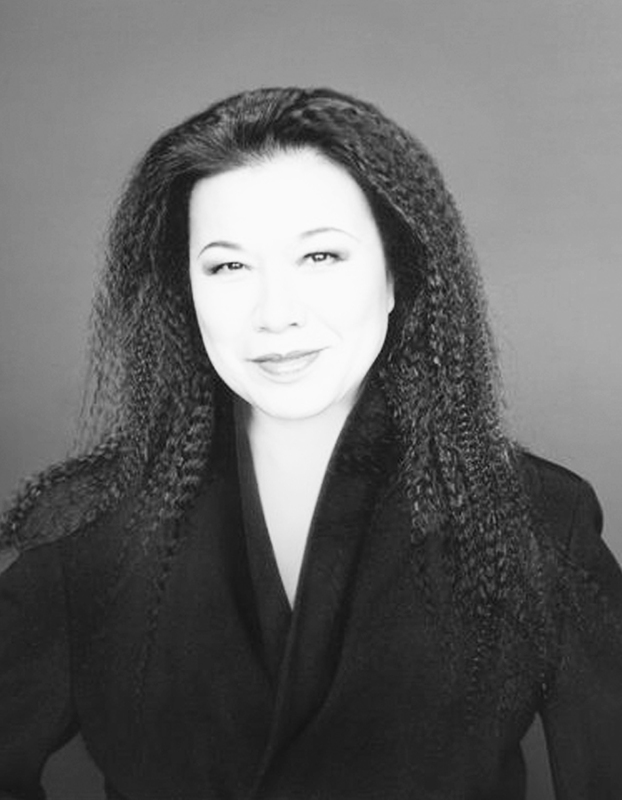 Ishioka expressed a flair for the dramatic combined with an unwitting sense of humor when she collaborated with famed Japanese designer Issey Miyake. Together, they turned one of his fashion shows into a cross between a Broadway musical and a one-act drama. They charged admission and played to packed houses for six performances. It is not surprising that this woman, who places no artistic limits on herself, was asked to deliver the keynote speech on “Design Has No Boundaries” at the 1988 International Design Conference in Aspen, The Cutting Edge. Eiko by Eiko, a book that covers her work from 1970 to the present, is what Ishioka considers a text of creative correspondence addressing Japanese society. This masterpiece of book design and documentation was issued in its second printing in 1990. A diverse collection of her work is included in the permanent collections of museums throughout the world, including at the Museum of Modern Art in New York City.